In this tutorial, you'll learn all about volts, watts, amps, ohms, current, power, resistance and kilowatt hours (kWh). The equations are really quite simple, and you'll find some examples on how to apply them to home appliances. Want to test yourself? See how you perform in Quiz A, B and C at the end of each section. Please share this guide on Pinterest, Facebook or other social media if you find it useful. An electric current is a flow of electrons in a conductor. 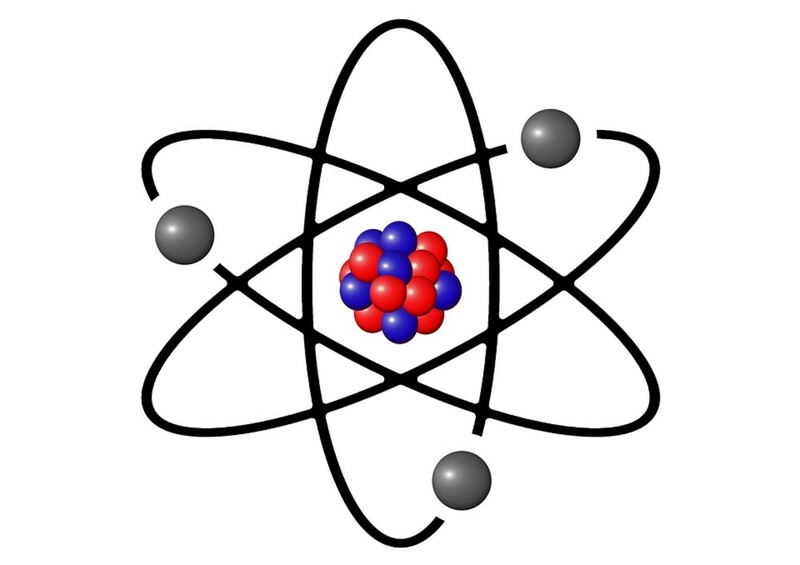 All matter is made from basic building blocks called atoms. A simplistic model of an atom, known as the Rutherford–Bohr model or Bohr model or Bohr diagram has a central nucleus made up of particles called protons and neutrons. The nucleus is surrounded by orbitals containing electrons. In some materials such as metals, electrons are bound loosely to the nucleus so they can detach and move when a voltage is applied. 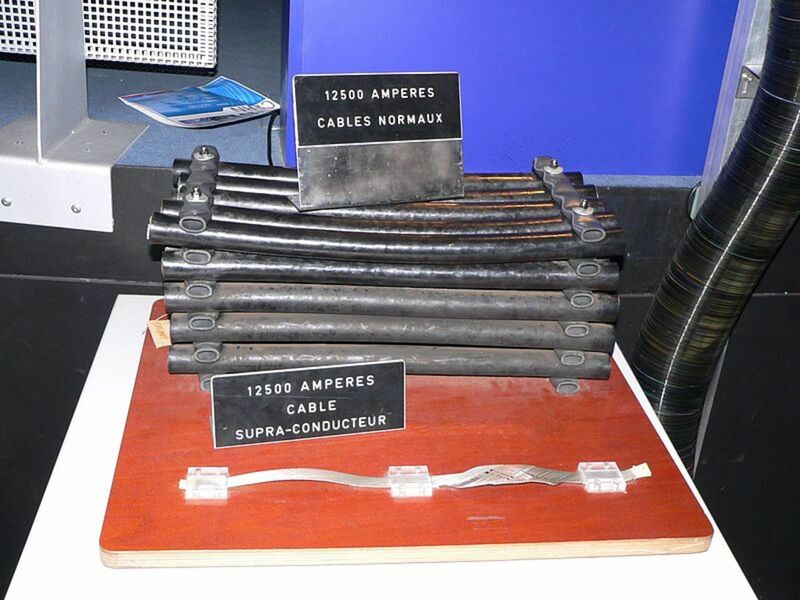 These materials are known as conductors and can conduct electricity. The flow of electrons is called a current. Like any discipline, electrical engineering has jargon or specialized terminology. Voltage and current are like water pressure and water flow rate respectively, and reference is often made to pumps and water pipes as an analogy to explain electrical circuitry. 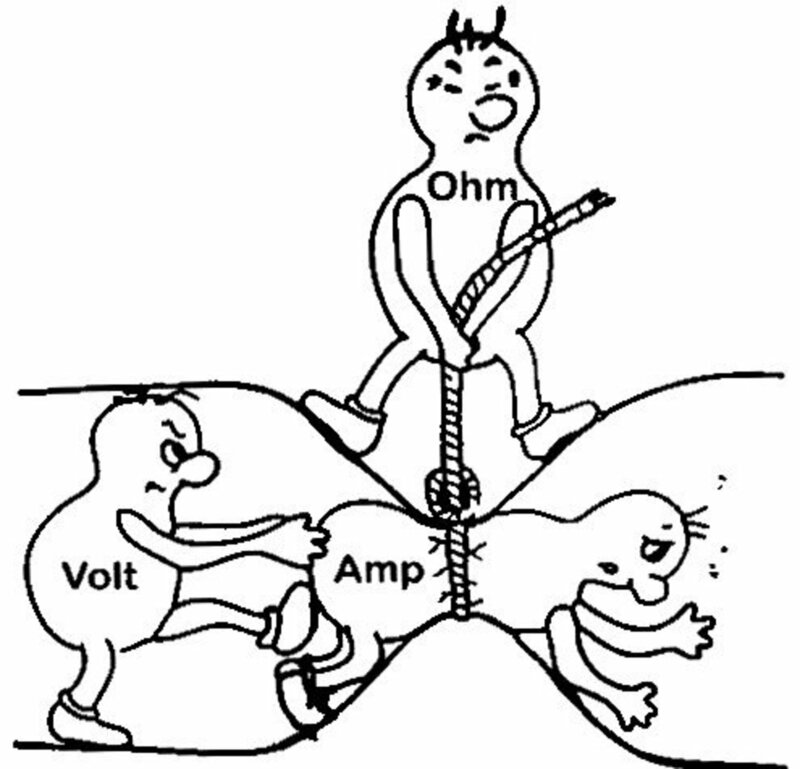 What's the Difference Between Amps and Volts and Ohms? Voltage is the pressure in a circuit and measured in volts.Think of a pump in a water pipe. The greater the pressure and the force which the pump exerts, the greater will be the flow of water through the pipe. Similarly a voltage source is like a pump and pushes electrons around the circuit. The higher the voltage applied to a circuit, the greater the current which will be forced through it. An electric current is due to the movement of electrons through a conductor and load and is measured in amps. High current means lots of electrons flowing through the circuit. The water analogy is water flow rate in gallons per minute. This is the device connected to a voltage source. It could be a motor, bulb, heater, LED, or an electronic resistor. A load has resistance and this is measured in ohms. Every electrical device or load has resistance. Resistance is like a restriction to the flow of electrons and electricity is dissipated as heat energy in a resistance. For a fixed voltage applied to a load, the higher the resistance, the lower the current. Going back to the water analogy, when you stand on a hose, you increase the resistance and restrict the flow. The only way to restore the flow is by getting the pump to pump harder, and force water through the restriction, i.e. the pump needs to have a higher pressure. Alternatively if you take your foot off the hose, you increase the diameter and lower the resistance and more water can be forced through. In an electrical circuit, if the voltage is increased, more current is forced through the resistance. If the resistance is lowered, more current will flow even if the voltage doesn't change. Even connecting wires in a circuit have resistance so when higher currents need to be carried by a cable, thicker gage cable must be used to avoid overheating. Power is the rate at which energy is consumed by a load and is measured in watts. A kilowatt is 1000 watts, also abbreviated to kW. Low powers are measured in milliwatts (mW) or thousandths of an amp. What Are KWh or Kilowatt Hours? Kwh are a measure of energy consumption. KWh are sometimes called units and are what you pay for on your electricity bill. A 1 kilowatt (1000 watt) appliance uses a kilowatt hour of electricity in one hour. Similarly a 500 watt device uses a kilowatt hour of electricity in 2 hours. What is the Frequency of a Supply? For an AC supply, this is the number of times per second that the current changes direction, measured in cycles per second or hertz. Electricity is distributed to homes at 50 or 60 hertz. Volts forces current through the resistance of a circuit. What are Examples of Voltage Sources? How Does Current Flow in a Circuit? 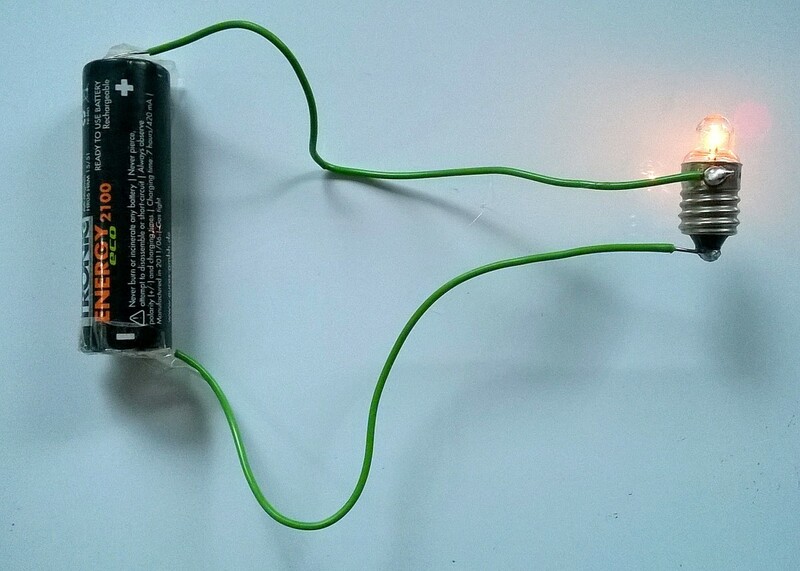 In the photo below, an AA cell powers a torch bulb. Current first flows out the top of the battery, through the wire and bulb and then returns via the bottom wire. So it always flows in a loop and two wires are needed to connect the voltage source to the load. We can represent this circuit in a simple manner using a schematic or circuit diagram. Looking at the schematic below, a voltage source V will force a current I around the circuit through the load (the bulb in this case) whose resistance is R.
The resistance could be an appliance, bulb, LED or component in an electronic circuit. The lines joining the source to the resistance would be the connecting wires inside an appliance or power flex, or tracks on a printed circuit board. What Are Some Commonly Used Voltages ? 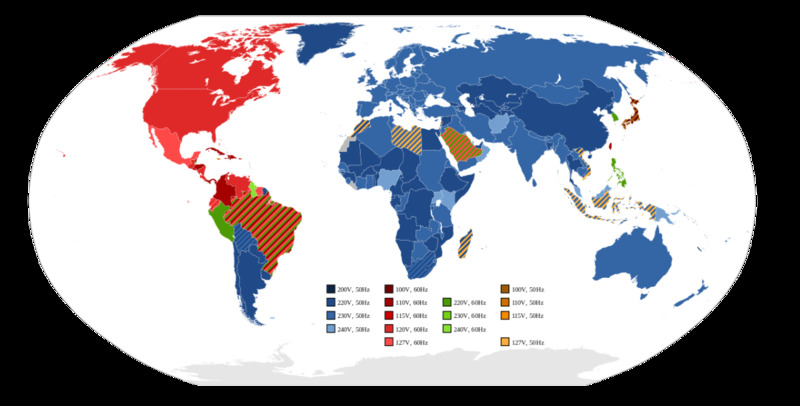 Commonly used voltages of devices and system. Where Does Electricity Come From and How is it Made? Since electricity is a flow of electrons, it isn't really made. Instead it is produced or generated when these electrons are moved. What Does a Power Station Do? A power station generates electricity using alternators or solar cells. There are several types of power plants, thermal, hydroelectric, wind, wave, tide and solar. 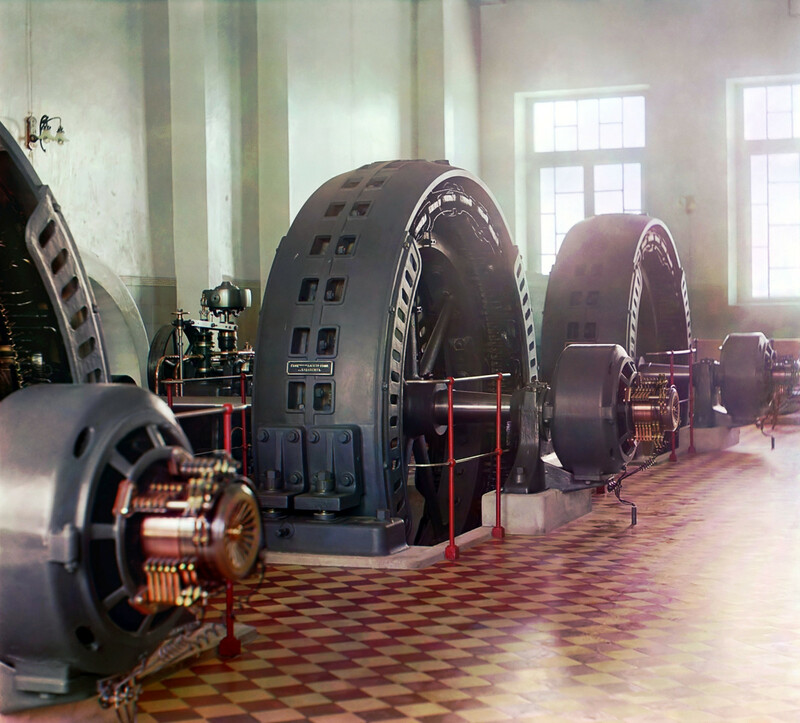 In a hydroelectric power station, water flowing through pipes from a dammed lake turns the blades of a turbine attached to the shaft of an alternator. The alternator then generates electricity. Fossil fuels such as coal, oil, gas and peat or renewable energy crops like willow are burned and the heat is used to boil water and generate steam at high pressure. The steam passes through pipes to a steam turbine and turns it at high speed. Again the steam turbine is connected to the shaft of an alternator, turning it and generating electricity. Nuclear power stations are also thermal using the heat of nuclear fission to boil water and turn it into steam. 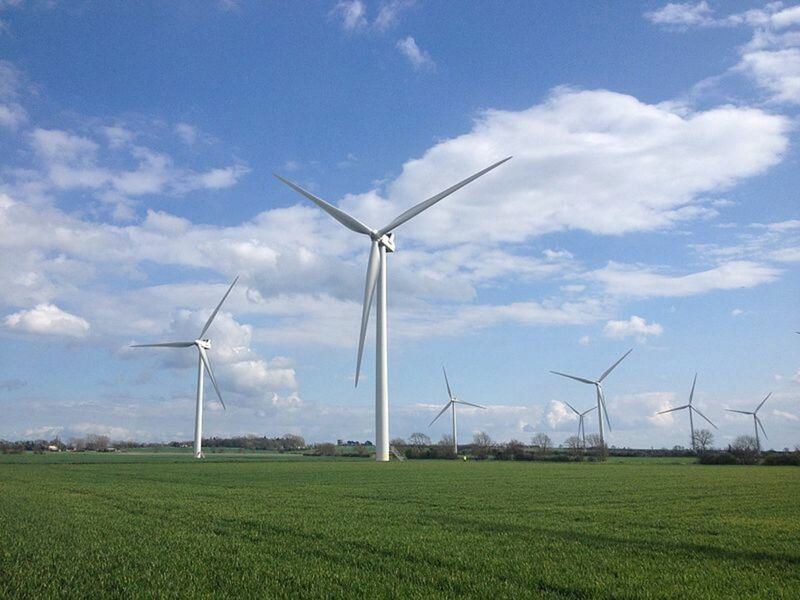 A wind farm uses windmills to generate electricity. Wind turns the blades of the windmill which are connected to a metal shaft. This shaft turns an alternator and this generates electricity. Wind farms can have several hundred windmills spread over hundreds of acres. Solar panels are large flat panels made of special semiconductor material. When sunshine lands on the panels, they produce an electric current. The larger the area of the panel, the greater is the electricity produced. Just like wind farms, solar generating farms can be spread over a large area and consist of hundreds of panels. 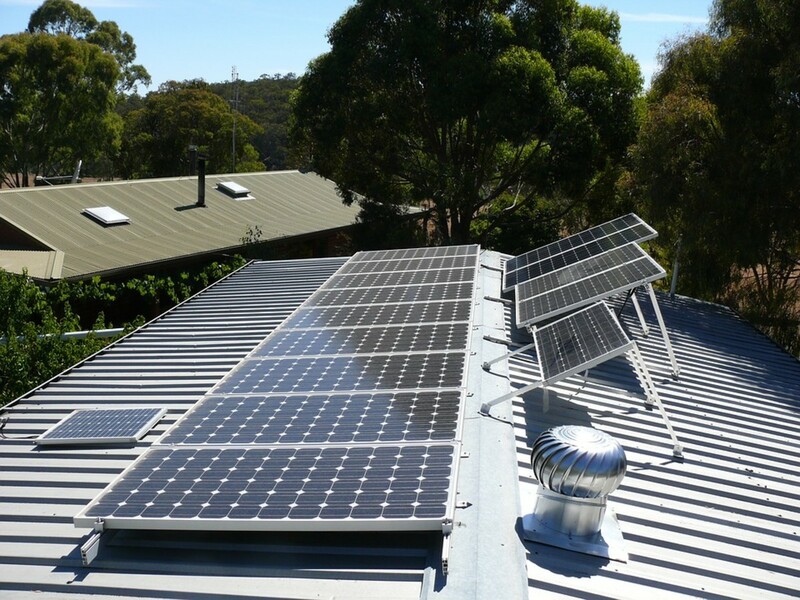 However people can also have solar panels fixed on their roof to generate some of their electricity requirements. Solar panels are becoming more efficient, which means that they can produce useful amounts of electricity even on cloudy days. Wave energy generators use the motion of waves to operate an electric generator. Tidal generators are like undersea windmills and use the flow of water during rising and ebbing tides to turn giant under water "propellers". Like a windmill, the propeller is connected to an alternator that generates electricity. What Is the Voltage Supplied to Our Homes? In general, the voltage supply to your home is nominally 230 or 120 volts. Voltage in the USA is 120 volts, but two "hots" are supplied to homes so that a 240 volt supply is also available between the hots. The higher voltage is used for high powered appliances such as washers, driers, kitchen ranges (cookers) and air conditioning. 120 volts is used for lower power and portable devices. It is also safer because in the event of an electrical shock, less current flows through the body so there is a lesser risk of electrocution. In countries where 230 volts is standard, generators or step down isolating transformers are used to provide a 110 volt supply for power tools. This is normally mandatory on construction sites. Again the idea of the lower voltage is to lessen the danger of electrocution, if for example a power flex is inadvertently cut, or a tool gets wet. We will consider Ohm's law later, but first let's examine the quantities which are usually of interest when dealing with appliances, such as volts, amps and watts and how to convert between them. 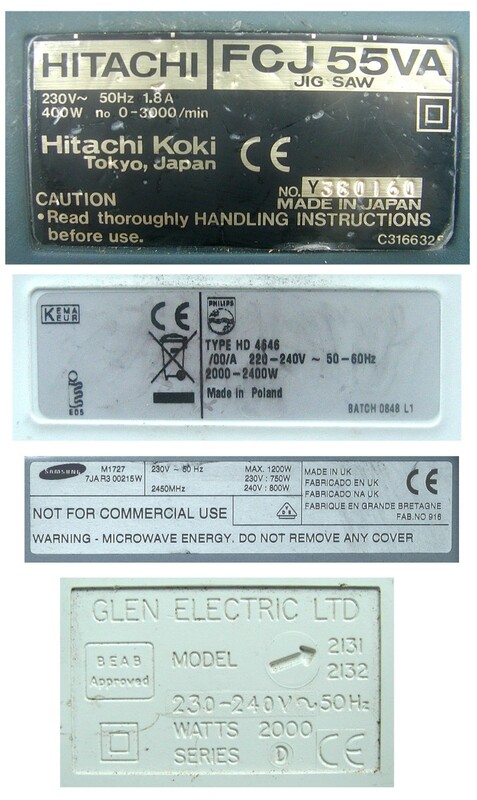 If you look at the casing of an appliance (see photo below) you can usually find a specification label or panel which indicates the voltage supply, frequency, wattage and possibly current. On some appliances e.g. 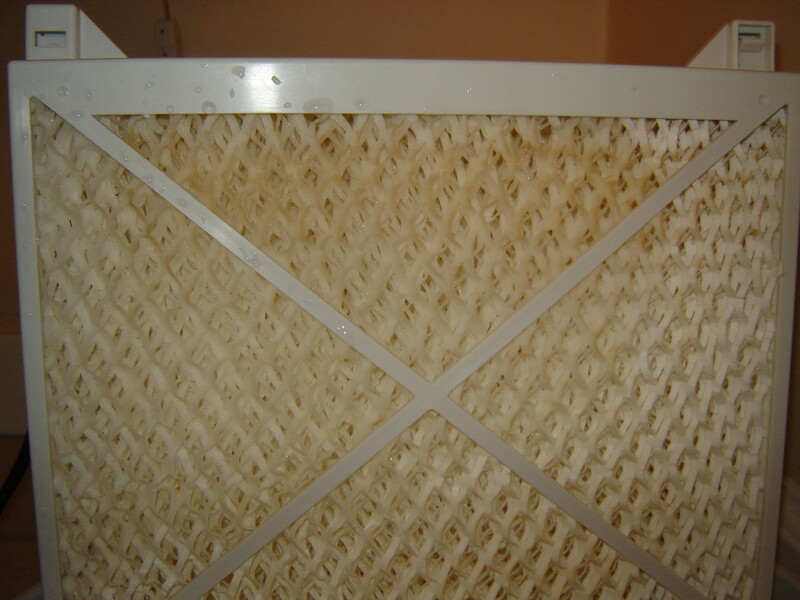 TVs and washing machines, this panel may be mounted at the back of the device. e.g. A 120 volt appliance takes 2 amps, what is the power? e.g. A 240 volt appliance consumes 480 watts of power, How much current does it draw? e.g. A 720 watt appliance draws 3 amps, What voltage is it running on? So it's really that simple. Notice I have chosen values in the examples so that everything works out nicely. You only really need to remember the first equation and if you know basic algebra you can rearrange to give the other two equations. However as you can see, you always need to know two of the quantities before you can work out the third quantity. From looking at the Google Analytics statistics and the questions which land people on this webpage, I often see questions asked such as "how many watts are in 480 volts? ", which obviously makes no sense! Kilowatt hours, kWh or units are what you pay for on your bill. 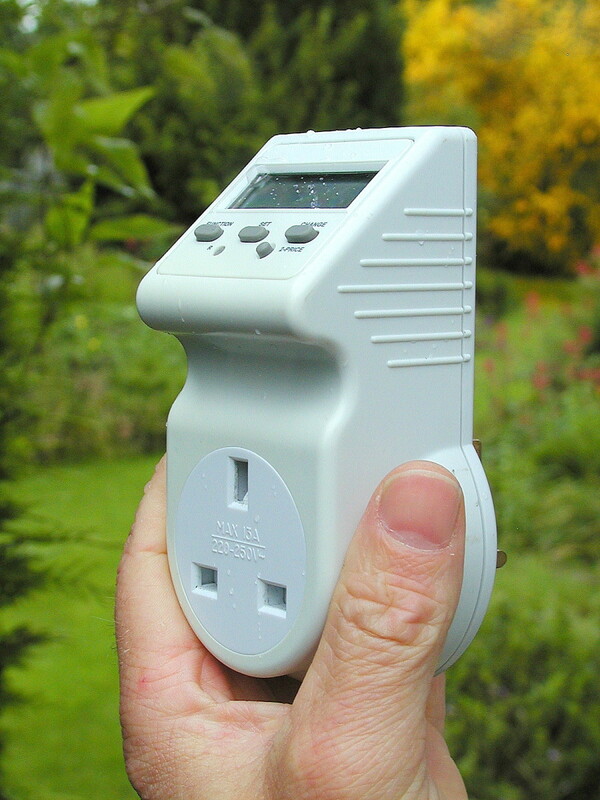 Your electricity meter counts and displays the number of units used by all the appliances and lighting in your home. e.g. A 2500 watt drier runs for 3 hours a day, how many kWh does it consume and if electricity costs 12c per unit, what is the cost of running it? Some appliances don't run continuously. Examples are devices controlled by a thermostat such as refrigerators, freezers, ovens in cookers and air conditioning systems. The time for which the appliance is powered on and consuming power is called the duty cycle and it is often quoted as a percentage. So for instance a fridge which stays on half of the time has a duty cycle of 50%. See my guide What is the Cost of Running Electrical Appliances? for a comprehensive list of appliances, their power consumption and how much it costs to run them per hour. How Many Amps Are Supplied to Our Homes? 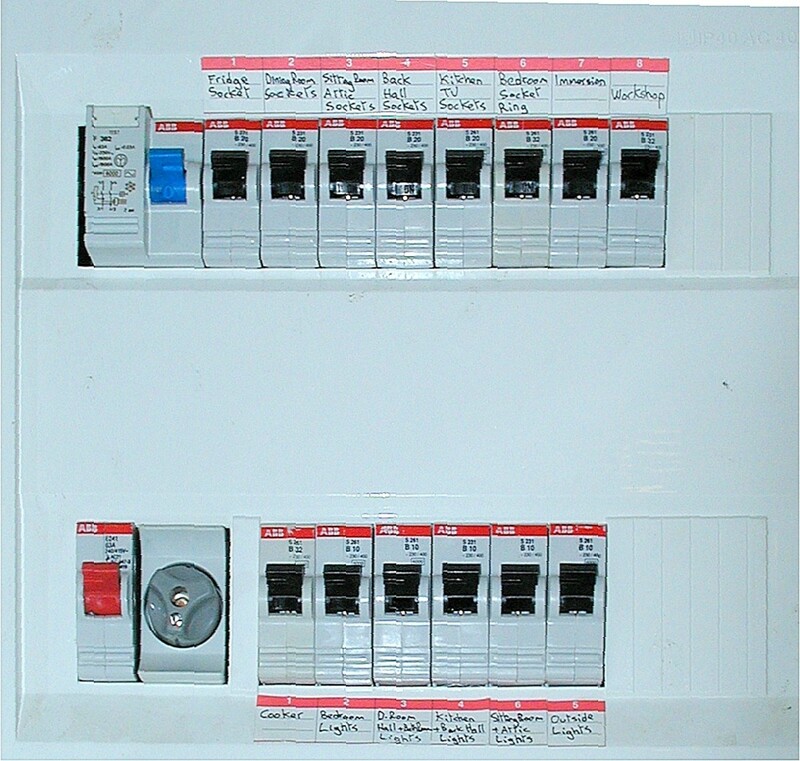 Typically for a 230 volt supply to a home, the main fuse rating is 80 to 100 amps at the consumer unit. So this is the maximum current that will flow before the fuse blows. At 80 A and 230 volts, this allows a power draw of 230 x 80 = 18.4 kW. Horsepower is a measure of....you guessed it!..... power! Just as an engine's mechanical output can be measured in horsepower, so can the mechanical output of an electric motor. A motor is not 100% efficient, in other words not all the electrical power input is converted into mechanical power at the output shaft, some being wasted as heat in the windings. As we will see later, electrical cables, appliances, wires inside appliances, components etc all have resistance. This resistance produces heat when current flows through it. 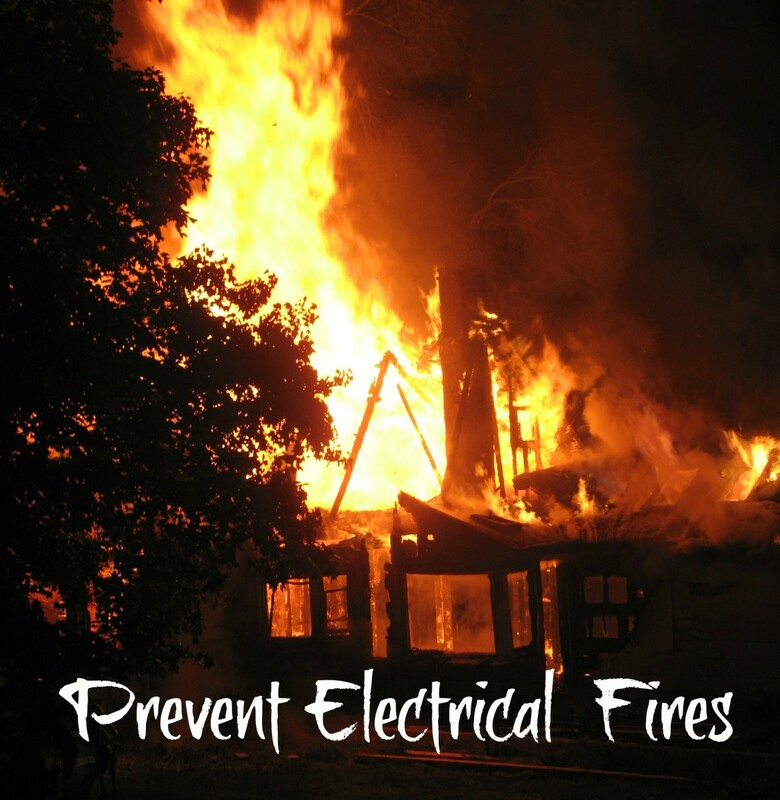 Any electrical conductor can get excessively hot if too much current flows and in the case of wires, this can cause the plastic insulation covering the cable to melt or even catch fire. So fuses are used in series with a cable or appliance to limit current flow and make everything safe. Fuses are like a "weak link" in a chain and blow before damage can occur. They have a specified rating and this is not the current they blow at, but the current they will carry without blowing. Once current exceeds the rating of the fuse, the fuse will blow. The length of time it takes for the fuse to blow is proportional to the current. So minor overloads can result in a fuse blowing in minutes, but if there is a large current or short circuit scenario, the fuse will blow in seconds or milli-seconds. Fuses have a max current they can carry without the encapsulation of the fuse rupturing. So fuses on the secondary of domestic power supplies in TVs, battery chargers and other electronic appliances are often glass types because the supply will only source a relatively small amount of energy if there is a fault. Ceramic types are used to resist the heat and shock that occurs when the inrush current can be perhaps hundred or thousands of amps, potentially feeding a huge amount of instantaneous power. If a short circuit occurs in an appliance, it's quite possible that the utility transformer in your street can feed current of this magnitude into the short. 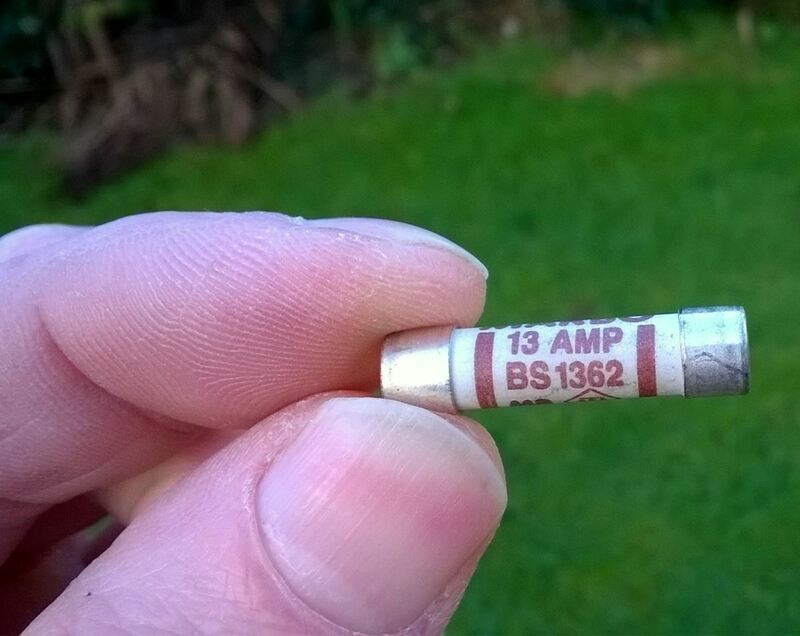 So for example the BS1362 fuse in a UK style plug has a ceramic body. Blown fuses should always be replaced by the same type, ceramic if necessary, to avoid a fire occurring. In general, fuses are fast blow (F) and time lag (T). Time lag types are often used for power supplies in electronic equipment because the capacitors take a surge of current as they charge up, which would blow a fast acting fuse. How Do You Check Voltage With a Multimeter? A multimeter is an instrument which can measure voltage, current, resistance and possibly additional parameters. You can also use it to check continuity of cables and check fuses. If you don't know how to use one, read my guide How to Use a Digital Multimeter (DMM) to Measure Voltage, Current, and Resistance. Multimeters normally have a continuity range also, and this comes in useful for checking breaks in cables, fuses and loose connections. Fluke, who are a leading manufacturer of digital instrumentation, recommend the Fluke 113 model for general purpose use in the home or for car maintenance. This is an excellent meter and can measure AC and DC volts, resistance, check continuity and diodes. The meter is auto-ranging, so ranges don't have to be set. It is also a true-RMS meter. If you also need to measure AC and DC current, the Fluke 106 is a suitable choice. How to Test a Live Wire? For this it's best to stay safe and use a non-contact volt tester or phase tester screwdriver. These will indicate if voltage is e.g > 100 volts. A multimeter can only measure the voltage between live and neutral or live and earth (ground) if these conductors/terminals are accessible, which may not always be the case. A Fluke "VoltAlert™" non-contact detector is a standard tool in any electrician's tool kit, but useful for homeowners also. I use one of these for identifying which conductor is live whenever I'm doing any home maintenance. Unlike a neon screwdriver (phase tester), you can use one of these in situations when live parts/wires are shrouded or covered with insulation and you can't make contact with wires. 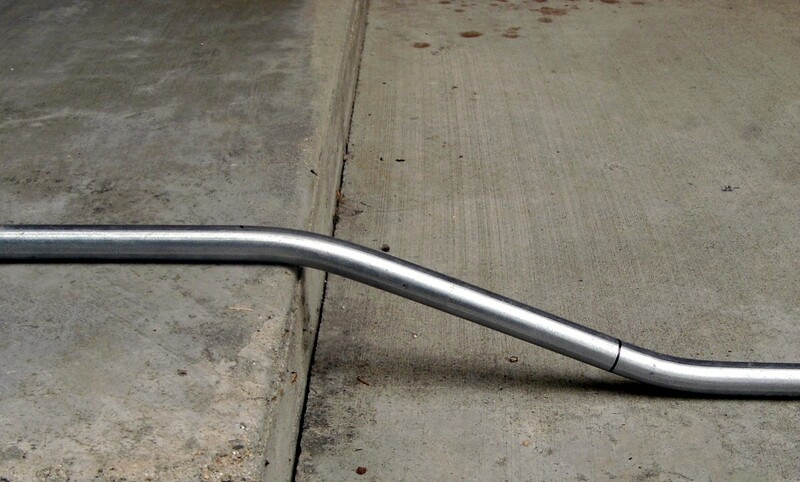 It also comes in useful for checking whether there's a break in a power flex and where the break occurs. Note: It's always a good idea to use a neon tester to double check that power is definitely off when doing any electrical maintenance. An electricity usage monitor or tracker tells you everything you want to know about your appliance behavior. The parameters are displayed on an LCD and include voltage, current, power consumption, kwh used, cost of running and run time of appliance. The latter is useful for troubleshooting fridges, freezers, air conditioners etc which are controlled by a thermostat and switch on and off. A failed thermostat or waterlogged insulation can cause an appliance to run constantly, so this problem can be identified. What Does It Mean to Consume Electricity? What happens when an appliance is powered from electricity? Scientists tell us that energy cannot be destroyed, it just changes from one form to another. This process happens all the time - on Earth and throughout the Universe. For instance a rock on the edge of a cliff has potential energy, because of its altitude above the ground. If it falls over the edge of the cliff, it starts to pick up velocity, i.e. gains kinetic energy (motion energy) while losing potential energy. When it hits the ground, this energy is dissipated as heat (think of the heat produced by an asteroid impact). Similarly when an appliance is plugged in, the electricity doesn't get wasted or "consumed", in the sense of being destroyed, it simply changes form. So in the case of a lamp, it ends up as light energy or as heat energy when a heater is used. Electrical energy can also be converted to sound in a loudspeaker or electromagnetic radiation (microwave oven or radio transmitter), all forms of energy. Electrical energy can also be converted to kinetic energy in an electric motor or to potential energy when an elevator is raised in a building. Power is a measure of the rate at which energy is used. So for instance a 1000 watt heater or high powered hvac air conditioning system uses energy at a higher rate than a 60 watt light bulb. How is Electricity Converted to Other Forms of Energy? In the circuit above, a voltage V pushes a current I around the circuit and through the load. As you may remember, this could be a device such as a bulb, electrical heater, motor, LED or other electrical appliance. The load resists the flow of current and the magnitude of its resistance is R ohms. This is known as Ohm's law and basically says that the current is proportional to the voltage and inversely proportional to the resistance (As resistance increases, current decreases and vice versa) Remember the resistance measured in ohms is just a measure of how the load or appliance in the circuit "resists" the flow of current. In electronic circuits and some electrical appliances, components called resistors have precise values of resistance so that they can be used to control the value of current flowing in a circuit. The resistance in a circuit is 100 ohms, a voltage of 120 volts is applied, what is the current? It's unlikely when dealing with appliances in the home to need to use the last two equations. However here is an example. A 240 volt supply is connected to a load of 100 ohms. What is the power consumption of the load? Insulators are used to prevent current flow between two electrical points with differing voltage e.g. insulation on the individual cores of a power cable, the plastic of a power plug or glass/ceramic insulators on power lines. They also prevent high voltage from causing electric shock. What are Insulators Made Of? What is Resistivity and How Does it Affect Resistance? A conductor is a physical medium which carries an electric current. This could be a power cable, prongs on a plug, a liquid such as water, battery acid or ionized gas in a discharge lamp (e.g. fluorescent or sodium lamp). In the case of a solid conductor such as copper wire, the electrical resistance is proportional to the length of the conductor and inversely proportional to its cross-sectional area. In effect this means that the longer a piece of wire, the higher its resistance. Similarly the greater the diameter of the wire, the lower its resistance. This has implications for conductors used in appliances and power transmission. 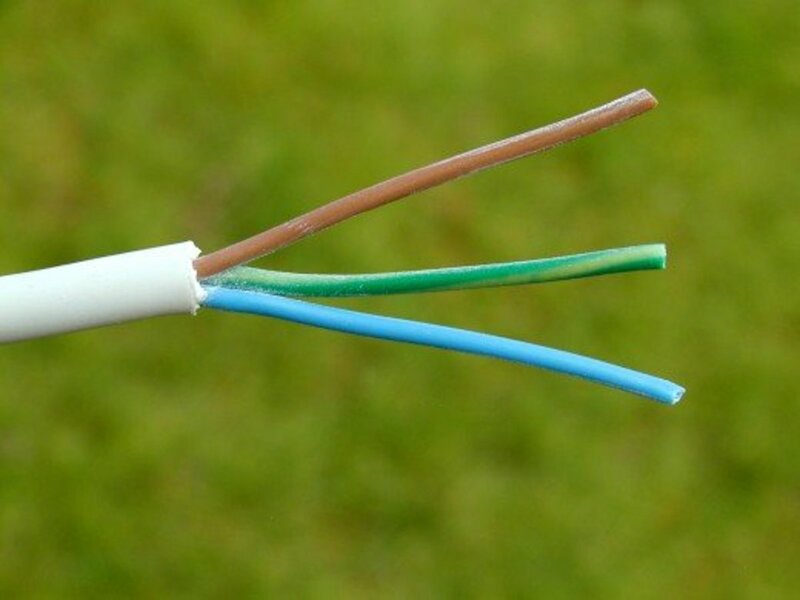 For example, the gauge of wire used in an extension lead is important, if the wire is too thin, the resistance will be high and the cable can overheat. If a power cable is very long, its resistance may be too high if not properly rated, resulting in an unacceptable voltage drop at the end of the cable (because of the resistance). ρ (Greek letter "rho") is a constant known as the resistivity as is a measure of how good the material at conducting electricity. The lower the resistivity of a material, the lower will be the resistance of the conductor. Copper has the lowest resistivity of most common materials and this is why it is widely used in the manufacture of cables. Silver has a lower resistivity than copper, but it is much more expensive. 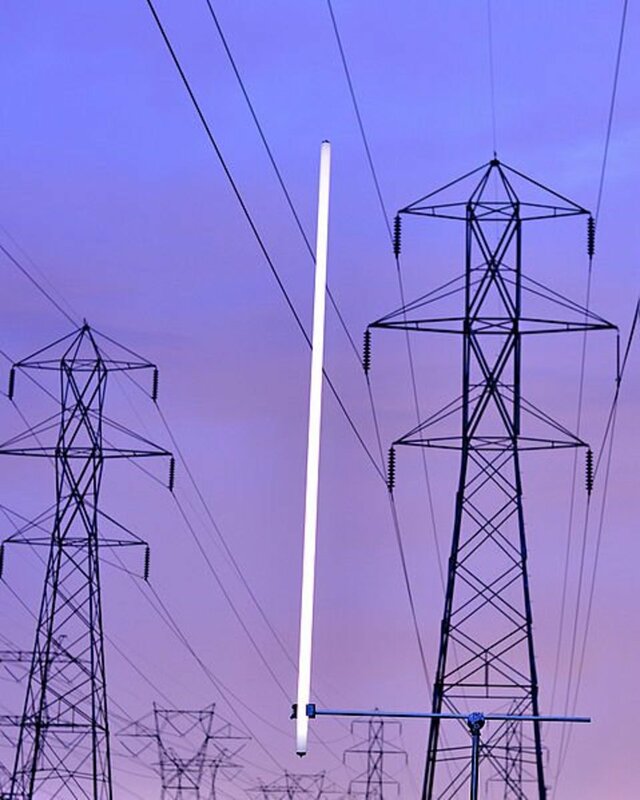 Aluminium is generally used for overhead cables and although it has a higher resistivity than copper, it is lighter. Gold has a resistivity about 1.5 times that of copper, however it is unreactive and doesn't oxidize (tarnish). A tarnish coating on a conductor increases contact resistance, so this is why gold is often used as a coating on audio / video connectors. Gold is also used for the miniature connecting wires in integrated circuits. When certain materials are subjected to very low temperatures, their resistance falls to zero. The consequences of this are that a current can flow even if the voltage source is removed. Because resistance is zero, and no heat is dissipated, huge currents can be carried by thin cables. Superconductors are used for example in MRI machines to carry the high currents required by powerful magnets. What Are AC and DC? The current produced by a power source can take one of two forms, AC or DC. The power source could be a battery, electrical generator, power transmitted along service cables to your home or the output of a signal generator, a device used in laboratories or by test personnel when testing or designing electronic systems. This stands for direct current so the current provided by the source only flows one way. A DC source will have a nominal value voltage level and this voltage will fall as the source is loaded and outputs more current. This drop is due to inherent internal resistance within the source. 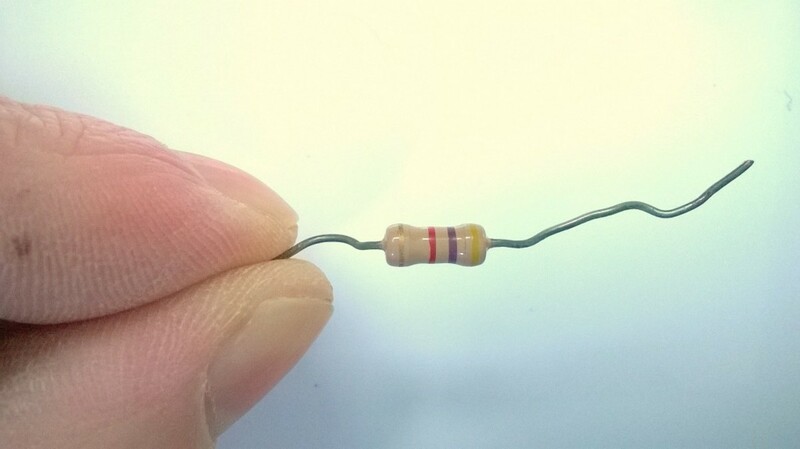 The resistance is not due to an actual resistor, but can be modelled as such, and is composed of actual resistance of conductors, electronic components, electrolyte in batteries etc. Examples of DC sources are batteries, DC generators known as dynamos, solar cells and thermocouples. This stands for "alternating current" and means that the current "alternates" or changes direction. So current flows one way, reaches a peak, falls to zero, changes direction, reaches a peak and then falls back to zero again before the whole cycle is repeated. The number of times this cycle happens per second is called the frequency. In the U.S. the frequency is 60 Hertz (Hz) or cycles per second. In other countries it is 50 Hz. The electricity supply in your home is AC. The advantage of AC is the ease by which it can be transformed from one voltage level to another by a device known as a transformer. AC sources include the electrical supply to your home, generators in power stations, transformers, DC to AC inverters (allowing you to power appliances from the cigarette lighter in your car), signal generators and variable frequency drives for controlling the speed of motors. The alternator in a vehicle generates electricity as AC before it is rectified and converted to DC. New generation brushless, cordless drills convert the DC voltage of the battery to AC for driving the motor. Because AC can so easily be transformed from one voltage to another, it is more advantageous for power transmission over the electricity grid. Generators in power stations output a relatively low voltage, typically 10,000 volts. 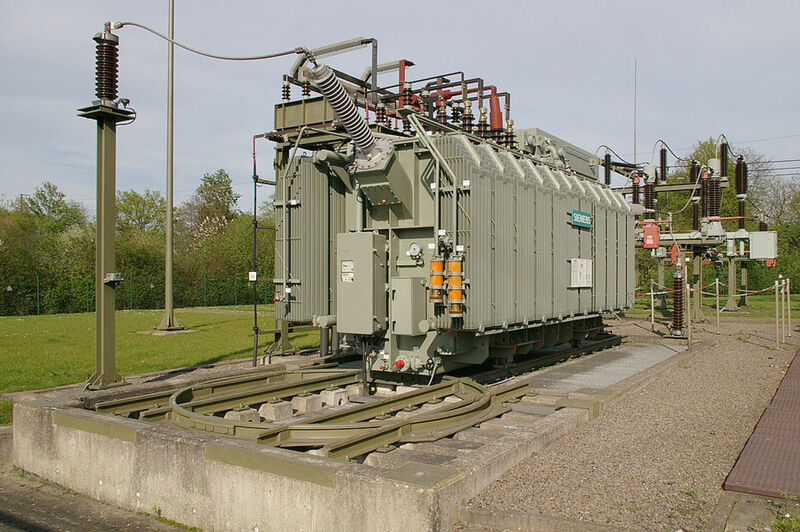 Transformers can then step this up to a higher voltage, 200,000, 400,000 volts or higher for transmission through the country. 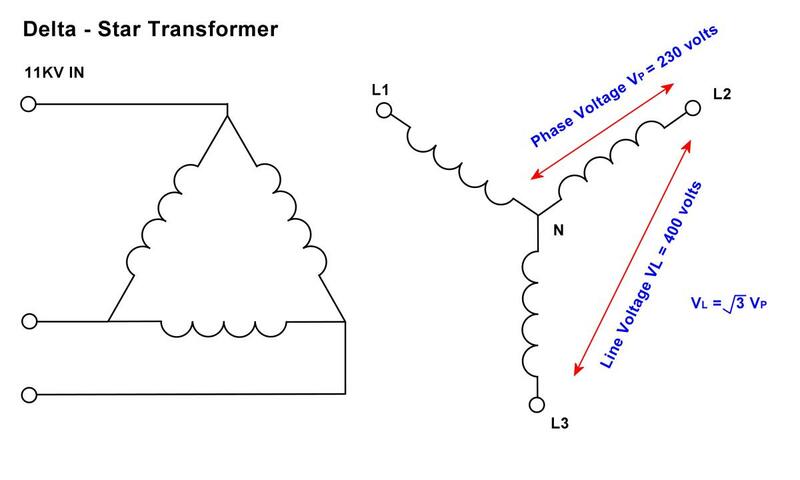 A step up transformer, converts the input power to a higher voltage, lower current output. Now this decrease in current is the desired effect for two reasons. Firstly, voltage drop is reduced in the transmission lines because of the lower current flowing through the resistance of cables (since V = IR). Secondly, reducing current reduces power loss as current flows through the resistance of the distribution cables (remember power = I2R in the equations above?). Power is wasted as heat in transmission cables, which obviously isn't wanted. If current is halved, power loss becomes a quarter of what it was previously (because of the squared term in the equation for power), If current is made 10 times smaller, power loss is 1% of what it was, and so on. Very long distance transmission lines may use DC to reduce losses, however power is normally distributed nationwide using a 3 phase system. 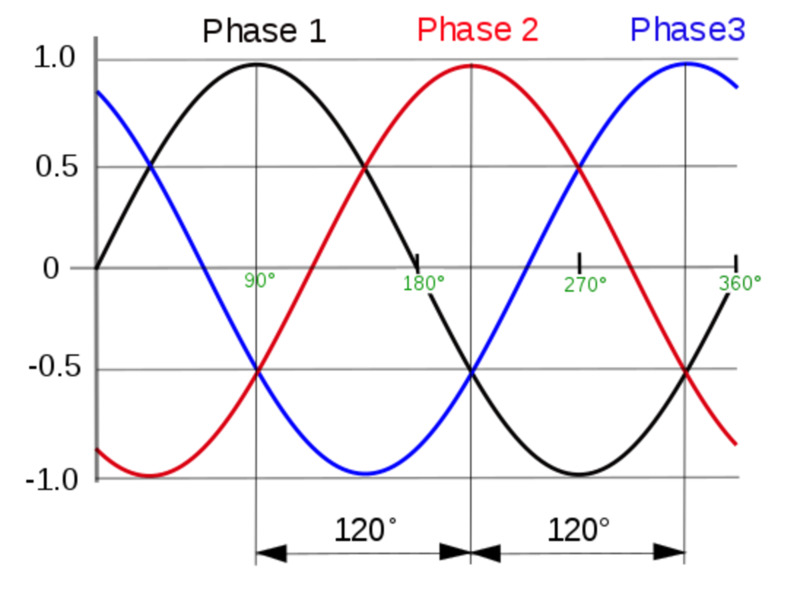 Each phase is a sinusoidal AC voltage and each of the phases is separated by 120 degrees. So in the graph below, phase 1 is a sine wave, phase 2 lags by 120 degrees and phase 3 lags by 240 degrees (or leads by 120 degrees). Only 3 wires are needed to transmit power because it turns out that no current flows in the neutral (for a balanced load). The transformer supplying your home, has 3 phase lines as input and the output is a star source so it provides 3 phase lines plus neutral. In countries such as the UK, homes are fed by one of the phases plus a neutral. In the US, one of the phases is split to provide the two 'hot' legs of the supply. Why Is 3 Phase Used? As explained above, a multimeter is an instrument for measuring voltage in volts, current in amps and resistance in ohms. Each function usually has several ranges to allow large and small values to be measured. 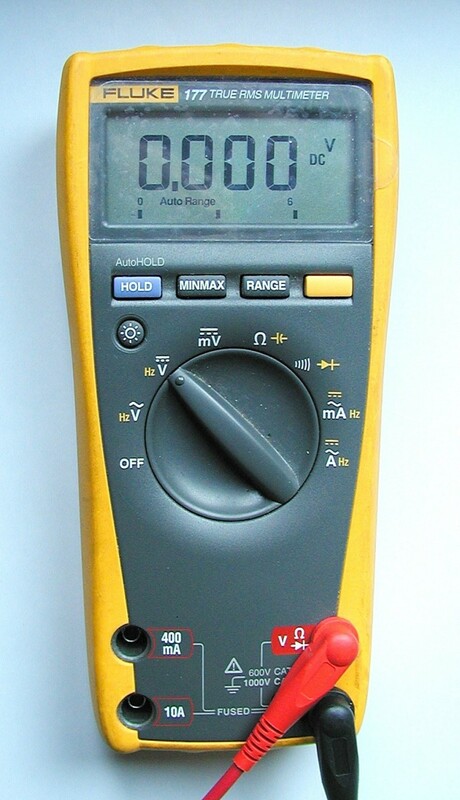 A multimeter has two probe leads which are connected to the circuit being tested, the measurement is then displayed on an LCD display. What Are Other Effects When a Current Flows? As mentioned above, when current flows through the resistance of a load, it gets hot. This is sometimes the desired effect, e.g. an electrical heater. However it is an unwanted effect in lamps, because the desired function of the device is to convert electricity to light, and not produce heat as a byproduct. Excessive current in power cables during an overload can potentially cause a fire if protective devices such as fuses or MCBs (Miniature Circuit Breakers) aren't included in line with the cable. So what else happens when current flows through a conductor? One effect is that a magnetic field is produced. This phenomenon is used in a device called a solenoid or electromagnet which is basically like a spool or coil of wire through which a current flows. Electromagnets are used in the old style, non-electronic, door and phone bells, water inlet valves on washing machines, relays (a switch operated by an electromagnet), starter motors on vehicles and in salvage for lifting iron and steel. 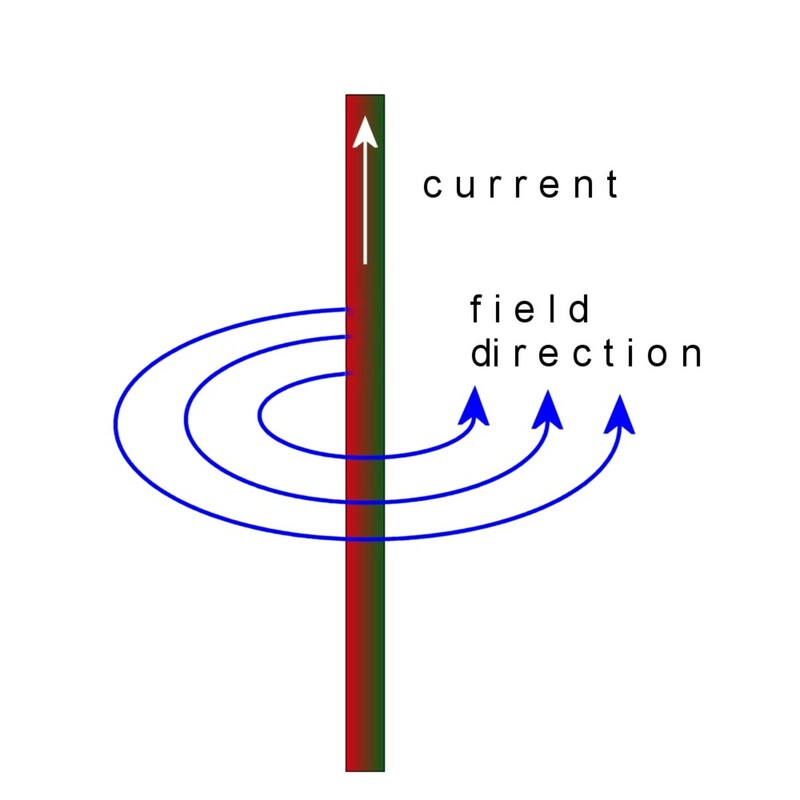 Current flowing through a conductor also produces an electric field. An extreme example of this is the high intensity field produced under a high voltage power line which is sufficient to illuminate a fluorescent tube held in the hand. How Do Switches Work and What Are Sparks? 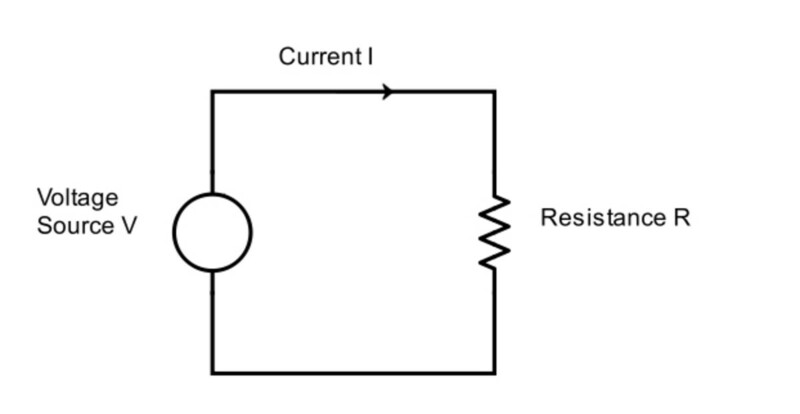 As you've discovered, if resistance is increased in a circuit, current decreases. If you just break the conductor in a circuit and create an air gap, the magnitude of the resistance for all practical purposes is infinite because air is a good insulator and no current will flow. I.e. So this is how a switch works. Two contacts, usually made of brass in a domestic switch, are pressed together when the switch is on and closed. When the switch is turned off, the contacts rapidly separate and interrupt current. Imagine two electrodes or points in a circuit separated by an air gap (e.g. the gap in an automotive spark plug). If voltage is high enough, the air between the two points becomes so stressed by the electric field that it becomes ionized, i.e. atoms have their electrons ripped off. These electrons are then able to traverse the gap, attracted by the positive electrode and in doing so, collide with other gas molecules and release more electrons. Eventually an avalanche of electrons occurs (all of this happening in a split second) and the result is called a spark or spark discharge A spark produces a flash of visible light, heat, UV radiation and sound and it's temperature can be about 5000 deg C, hotter than the surface of the sun. The voltage required to produce a spark is about 3000 volts per mm between rounded electrodes in air. Sparks can be small, e.g. automotive spark plug or gas lighter, or much larger. An example of a large spark is lightning. When clouds get charged up, voltage becomes so high that a spark jumps from cloud to cloud or cloud to ground. The sound we call thunder is caused by the explosive heating and expansion of air by the electrical discharge. Sparks occur in an air gap when voltage exceeds the breakdown voltage of the gap. When two electrodes are separated, current tends to continue to flow and heating of the metal electrodes causes material to vaporise and also ionise the air. This results is a continuous spark discharge called an arc which is similar to a spark. If the electrodes are separated sufficiently, the arc won't be sustained and will stop abruptly. Arc welding makes use of an arc between two electrodes to melt metal. Switches must also be designed so that their contacts separate sufficiently apart and quickly enough so that arcs are rapidly quenched and reduce damage to the contacts. In substations, large air gaps or oil filled circuit breakers are necessary to quench the high current arcs which occur when high voltage is switched. A voltage regulator is an electronic device used to keep the voltage output of a power supply at a constant level, independent of current drawn by a load. In general, these devices are implemented as single ICs in a variety of package formats, or as separate modules consisting of several discrete components or integrated circuits. A regulator that reduces voltage is called a buck regulator and one that increases voltage is called a boost regulator. The output of an unregulated voltage supply will drop as current increases. This is because of internal resistance which causes a potential drop as current flows. This drop subtracts from the idealized internal voltage source and causes the output of a source to be lower than the open circuit voltage without a load. What are Voltage Regulators Used For? What are the Two Types of Voltage Regulators? There are two types of regulator, the linear regulator and switching regulator. A linear regulator is a semiconductor device, but effectively works as a controlled dropper resistor in series between the input supply and the regulator output. So it drops voltage from eg 12 volts to 5 volts. The regulator monitors its output voltage and if the load tries to take more current and op voltage tries to fall, the resistance of a pass transistor is reduced so that it drops less voltage in order to maintain the output at a constant 5 volts. Similarly if the load takes less current, the resistance increases. A linear regulator is a classic negative feedback control system (like the governor on an engine, keeping speed constant as the load increases/decreases). Since the regulator is in series with the load, the current supply from the source is the same as that supplied to the load. However since voltage is dropped by the regulator, power is wasted as heat in the device. The higher the input voltage, the greater the wastage since P = VI, where V is the drop across the regulator. The lower the input voltage the better, and a small or large heat sink may be needed, depending on the ambient temperature and voltage drop. Basic regulators need about a 2 volt difference between input and output voltages to work, but low dropout regulators are available which can work with a smaller difference between IP and OP. A switching regulator on the other hand works differently. Unlike a linear regulator which can be very inefficient and waste power as heat, switching regulators can be up to 95% efficient. In buck mode (reducing voltage), they work by chopping the input voltage to the regulator into a pulsed waveform and applying this to a capacitor/inductor which effectively works as a tank, smoothing the chopped waveform (analogous to the way an engine flywheel smooths the pulsed intermittent power from the cylinders). The duty cycle (how long the pulse is on) of the switching waveform is varied depending on the demand of the load in order to keep the op voltage constant. Why are Two Wires Needed for an Electric device? Two wires are needed because electricity flows in a loop. So electrons flow out one wire to the device and travel back via the other wire. If voltage is very high of the order of tens of thousands of volts, current can flow out one wire and flow back through the air through a spark gap. Why is 240 volts used for some appliances? In countries such as the US where the lower 120 volts is used for safety reasons, 240 volts is used for high power appliances. The reason for this is because high power appliances need more current, so instead of using heavier gauge cables to supply that current, double the voltage is used to supply the same power. Because voltage is double, current is halved (power = VI). If the voltage from my electric utility company drops, do I get less value for money? No, because you'll be getting less power and so pay less. An appliance such as an electric heater rated at 2kW, doesn't always take 2kw of power. This is the power at the rated voltage. If voltage falls, power input to the appliance also falls. Your electric meter measures power used over time, not voltage. Why does a motor sometimes burn out when it stalls? When the rotor or armature in a motor is spinning, it acts like a generator producing an electro motive force (EMF) opposing the applied voltage. This limits current into the motor. When the motor is stalled, the EMF drops to zero and because the windings of the motor have a relatively low resistance, current increases greatly. Because the windings have resistance, this produces a lot of heat. In the case of a power tool, if the trigger isn't released immediately when the tool stalls (e.g. a drill bit gets stuck or a circular saw blade binds), the insulation on the windings can rapidly burn, causing adjacent wires in the winding to short out, resulting in a a catastrophic failure of the motor. Neutral is connected to ground (earth) both at the transformer and possibly also in your home (using ground rods). So all the ground you stand on actually forms part of a circuit. When you touch a live wire, current flows through your body and soles of your shoes into the ground and back to the transformer. If you're wearing rubber/PVC soled shoes, current will be small because these materials act as insulators and you'll be less likely to be electrocuted. However if you're wearing leather soled shoes that can absorb moisture, or standing in bare feet, there's a high risk of electrocution. How to Work Out Voltage Drop in a Cable? There are three methods, in practice, method 2 would be the way to do it for electrical installations. 2) Look up a table that gives voltage drops for different currents and cross-sectional areas. 3) Work out the resistance of the cable and use IR to find the drop. Because a cable will have two cores, resistance will actually be double this value, i.e. 2R. 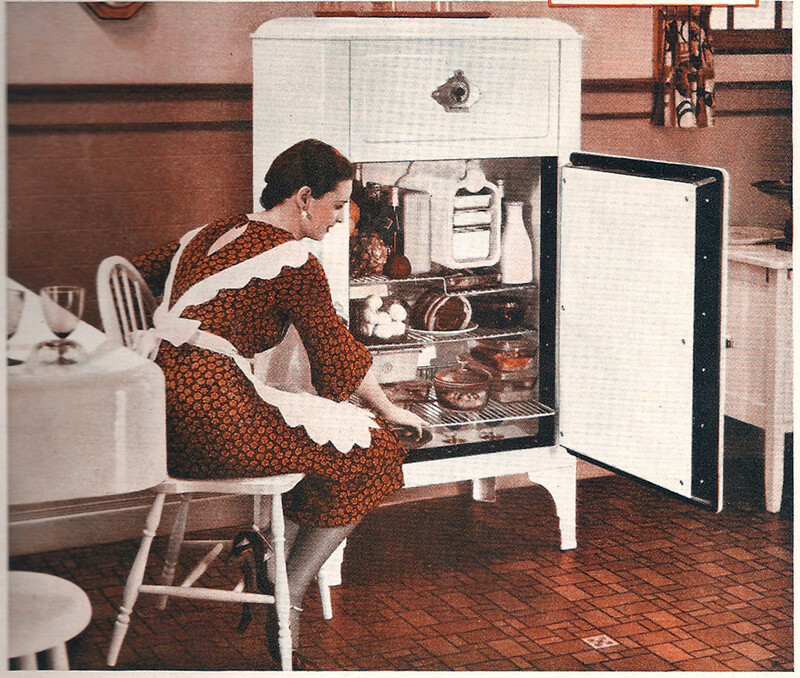 What is the device used for controlling the flow of electricity in fridges and electric irons? This device, called a thermostat, is also used in freezers, ovens, air conditioners, oil and gas boiler furnaces, and hot water cylinder heating elements. Its function is to control temperature and keep it at the desired level. The device consists of a bi-metallic strip of two metals attached together. As temperature changes, the metals which have different coefficients of thermal expansion, expand by different amounts. This causes the strip to bow or bend outwards and activates switch contacts when the temperature reaches a preset level. In the case of a heating appliance such as an oven, a thermostat turns off power to the oven when the temperature reaches the setpoint temperature and turns it back on when the temperature falls to a lower setpoint. There's usually a narrow band of several degrees between the upper and lower setpoints known as hysteresis. Without this, the thermostat would continually cycle on and off with tiny variations in temperature, shortening the life of the switch contacts. What supply voltage is required for a 100w bulb? You need to check the required voltage. Sometimes this is printed above the screw threads or on the glass of the bulb itself. Bulbs normally run on approximately 230 volts, 120 volts or some bulbs may be 12 volts as in the case of small halogen spotlights. The wattage doesn't determine the voltage required by a bulb, however. I have two different sources, 230 and 250 volt. Will energy consumption increase when voltage increases to 230 volts? It's a little bit complicated. For a purely resistive load, yes power consumption will in theory increase with an increase in voltage. Energy is power x time, so energy consumption also increases. However the resistance of a purely resistive load will increase with temperature, so energy will be less than it would have been if the resistance stayed the same. For other loads, power consumption may stay the same. E.g., switch mode power supplies used for charging power tool batteries or powering notebook computers are often dual voltage and work on 110 or 230-volt supplies. These don't use more power on the higher voltage because electronics in the chargers regulate the op and take less current from the mains as voltage increases. How do you convert horsepower to watts? There are several different types of horsepower but usually, the conversion for mechanical horsepower or imperial horsepower (hp) is 1 hp = 745.7 watts and for metric horsepower, 1 hp = 735 watts. How many amps is 230 volts? Why is the mains electricity AC? Electricity is generated at voltages of several thousand volts. 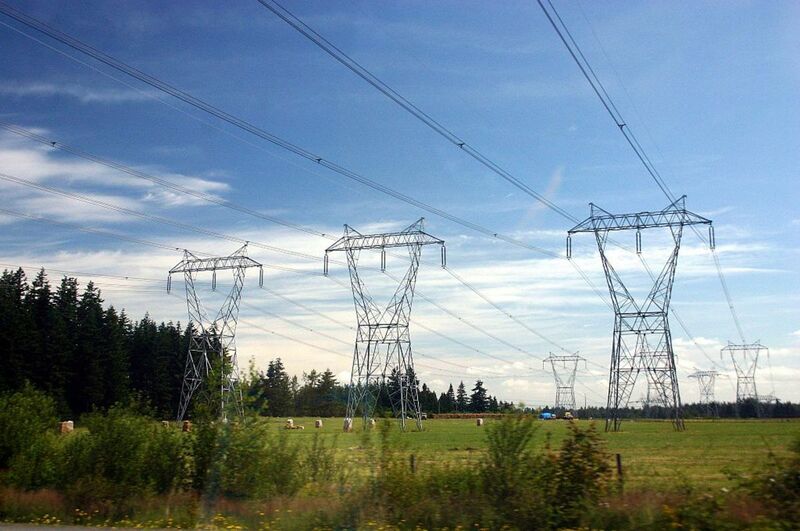 For it to be transported via the electrical grid, the voltage is increased to hundreds of thousands of volts. This allows thinner conductors to be used because a current is lower when the voltage is increased. Also, lower current results in lower power losses in cables because a loss is proportional to a current squared. The advantage of AC is that voltage can be easily increased and decreased by the use of transformers. Also, induction motors that use AC can run much more silent than those that use DC (e.g., fridge, freezer, and washing machine motors). Is it volts or amps that can kill? Volts is a measure of pressure and it's volts that drives a current, measured in amps or milliamps, through your body when you make contact with electrical conductors. Current equals voltage divided by resistance, but the total resistance is influenced by several factors. These include the resistance of the bulk of your body through which current flows, whether your skin is moist or dry, the texture of your skin (i.e smooth or calloused) and the shape of the conductors in contact with skin. Pointed electrodes can penetrate into skin and make better contact and also greater surface area of contact will reduce resistance. If current flows through your chest, it can cause fibrillation of the heart or cardiac arrest. Fibrillation is when the muscle fibres of the heart are all contracting randomly rather than in sync, so they don't pump blood properly. Is it volts or amps that kills? Volts drives the current, but it's current that kills. A current as low as 30mA can cause ventricular fibrillation, so RCDs (residual current devices) that detect earth leakage faults are designed to trip and shut off power when a current of 30 mA flows (e.g. if you touch a power cable). Why do volts and amps equal watts in the DC world but in the AC world, the same formula yields "apparent power" rather than true power? Apparent power is just volts multiplied by amps and is the phasor sum of reactive power and real power. Real power is also known as true power or active power. In a perfect theoretical load that has no resistance component, true power is zero and apparent power is simply reactive power. The latter is due to cycling of energy between inductive and/or capacitive loads and the source as capacitors are charged or magnetic fields are set up in inductors. True power is dissipated as heat in the resistance components of a load. For instance when an ac source is connected to an inductor, volts and current are 90 degrees out of phase. Apparent power = reactive power and even though current flows, there is no transfer and dissipation of energy from the source. How do you convert watts to amps? How many amps is 10 watts? What is the formula for calculating watts? Multiply current in amps by voltage to calculate watts. What Is the Ground (Earth) Wire For? Yes, you're quite correct. 50 volts is the right answer. Excellent article / tutorial, so thank you. Just one query. In quiz B question 2, with 100 ohm resistance and 0.5amp current passing, from V=IR I would have expected to see voltage necessary to produce this current to be V = 0.5 x 100 = 50 volts. However, this answer is wrong and you give the correct answer as 200 volts. Could I ask for an explanation of why this is the case? Doubling voltage quadruples power dissipation. This is because doubling voltage doubles current, so since power = voltage x current, this is where the square factor comes in. If you increased voltage by a factor of 10, power would be 100 times greater since 100 = 10 x 10. If the supply voltage of a load is doubled (Say from 60 Volts to 120 Volts), what effect does it have on power dissipation? What is the nature of the load? Is it purely resistive or inductive e.g. a motor? If the frequency output of the generator was lower than it should be, the impedance of an inductive load would be lower and current higher. You could post the question on an electrical engineering forum and they may have more experience of this sort of thing. Hi Sir ,Re. To my previous Question,Yes all 3 Engines are synced.with 440v AC OUTPUT. ALL ENGINE has the same load ,for example around 600kw of all Engine 1,2&3. And 1,&2 showing the same Amps.But for the No.3 is higher than those two Engines. Thank you for your response. Sir. Hi Cove, I don't know. Are all 3 engine generators feeding different loads or the same load and synced some way? If output is AC and frequency isn't what it should be, it could affect current output. Hi Sir, I would like to ask a question of some problem in our AUX. Engine Power Generator,, The Problem is The No.3 Aux. Engine is showing higher Amperes than the other two Aux. Engine. when the load is high.. When i checked The No.3 Engine,there is no combustion happening in one of the Cylinder Liner due to clogged high pressure fuel inlet pipe, but after i fixed the problem the amps is normal, do you think it was the reason why it is giving higher amps than the other two Engines? hoping for your kind response . No you get the same amount of energy! However in the country where the voltage is 110 volts, the current is twice the value that it is in the country where the voltage is 220 (for an appliance with the same power rating). Appliances that run on 220 volts must have a higher resistance so that they take less current to use the same amount of power as they would on 110volts. 220 volts connected to a 110 volts appliance would result in 4 times the power ending up in the appliance (because voltage is double and current is double), likely burning out the appliance. Great article but it didn't help me solve one riddle regarding power pricing and metering.... if two countries charge for electricity by the kWh, say 20c per kWh but one country is 110v and the other 220v, are you getting twice the energy for your 20c in the 220v country? It depends on the capacity of the battery. If you mean the capacity is 50AH, the absolute max watt hour capacity would be 12 x 50 = 600 Wh, typically over a 20 hour discharge period at a current of 50/20 = 2.5 amps. 600Wh is 600/1000 = 0.6kWh. hi sir eugene, how would i know how long my 12v 50A battery can support my 15kWH consumption? Thank you sir! Thanks. It is a new appliance that comes from Japan. All their products like many Japanese manufacturers come with polarized 2 pin plugs. My problem is that nothing worth buying is available in UK as they are focused on Europe and Japanese. Korean, Chinese stuff is not main stream. The only Japanese version I can buy in UK is a restaurant version which is total overkill. Far too big and runs on its own 30 Amp circuit. I have tried to find a double isolated transformation but again they all seem aimed at commercial budgets. Does this mean my Windows computers are illegal in the UK? My Mac has a two pin connector on power supply with an extensions lead which has a grounded plug, is that illegal too? And my iphone, ipad, my other cell and my electric razor? I knew the EU would be involved. I thought US equipment grounded through neutral back to the sub station? I guess UK works on different standards as everything is wired with hot at 230 v not two taps of 120 v which are only used on the high current stuff. Long time since I did any electrical stuff, I remember we used 440 volt triple phase which had three taps. Maybe I wait for Britain to leave the EU and hope this is one of the bits that is dropped. Though I am not supplying anything as I am using it myself. Thanks for info, I think I will investigate double isolated transformers more. You would need to measure current or it may say it on the device. It's not as simple as just adding up wattage of appliances to calculate total load, Factors have to be taken into account such as demand factor, starting wattage etc. A generator can source surge power from anything between 1.5 to 2.8 times the continuous VA rating, but voltage drop could be an issue for some motor equipment, which if it doesn't go from a start to a run phase can trip out. I don't have enough experience of this, so I'm not going to advise you. I suggest you contact a professional in this field who can help. How can I calculate generator power need ? exp: I consume all equipment in watt 77300 watt and devise 1000 equate 773 Kw so do I need to devise by 3 phase? if the generator is 3 phase? You can do this yourself Fida. Find the model number online of the appliances, check the power rating and add up all the values. Alternatively if you have the appliances, check the details printed on the label on the appliances or embossed into the casing. The wattage should be indicated. Please calculate me electric watts. 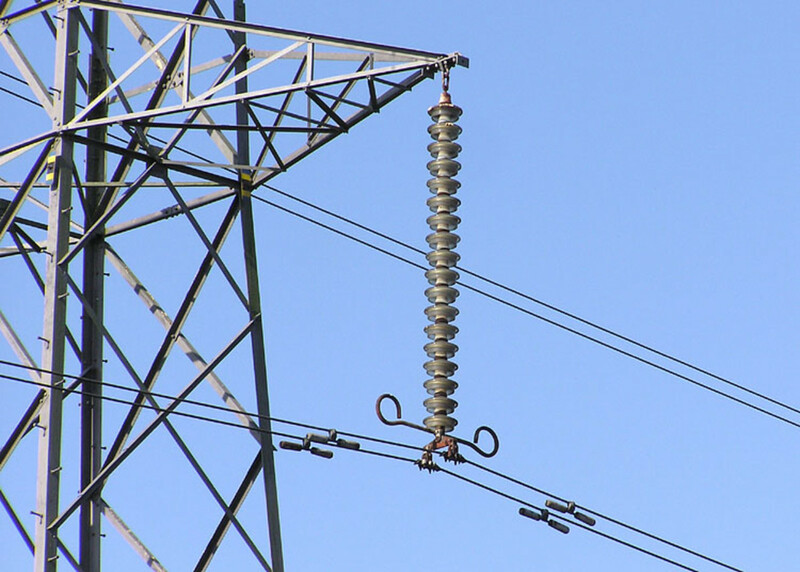 The load would be designed to be fed on single, double or three phase supplies. Load is specified for a given voltage. A charger would typically consume 5 to 10 watt while charging and much less when the phone is charged because only a trickle charge current would flow into the battery to maintain charge. Current is a flow of electrons which flow into the battery. Metal electrodes in the battery gain or lose electrons and the metal combines with an electrolyte in a chemical reaction. Tesla coils are a source of very high voltage, high frequency electricity sourcing low current. A phone needs low voltage and a higher current for charging, so a Tesla coil wouldn't be appropriate for the task. 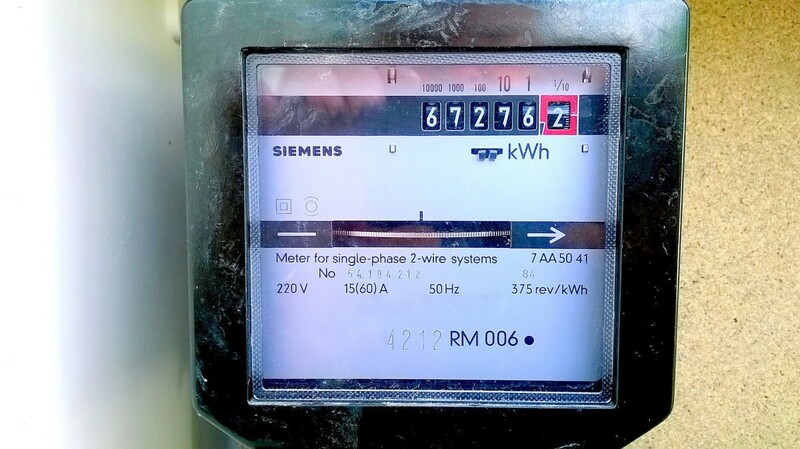 The current would be from line to line with no current to neutral, so the kwh meters wouldn't register the energy used. So, if a three phase delta plus N + E incoming line feeds a 3 phase supply and three single phase supplies, to a street distribution system (so that an industry therein connected can obtain 400v 3phase supply, whilst three houses can each obtain a single one phase supply and a fourth house obtains two single (different) phases - what kwh "poaer" is measured on either of it's two kwh meters, if a load is directly connected (NOT ACROSS EITHER PHASE AND N but) across two of the line phases, with out a n or e connection. In other words obtaining a 400 v load source, using two single 230v line feeds - what power in kwh is measured and which single phase meter measures that power used, or is any power used measured at all? The reason I ask is very simple. Is it a possibility to obtain a 400 v supply / load power supply, from two different line voltages, in a two phase supplied building, when there IS no 400v kwh meter installed, just two single phase line/n meters connected. As the load across the two lines IS NOT directly (or indirectly) connected to either meter's neutral wire. Thus could either meter even see the 400 v load across the two incoming phases.? Thank you, Eugene, for your response. I cherish answers, dearly. The only way I can presume that a simulator can give diametrically opposite results from apparently two different reference frames might be on account of divergence cropping up during its calculations? Namely, two answers which -- as far as the simulator can tell -- are both valid at the same moment in time? This assumption, if true, doesn't shock me since divergence is common in many of my simulated experiments of replicating an electrical surge to try and better understand this little understood phenomenon. This sort of answer coming from a simulator also doesn't shock me from a realistic standpoint since complex/imaginary numbers can also produce multiple results during a lengthy course of calculations. The trick, I think, is to not interfere by throwing out one or the other result without considering the other option that: both results may in fact be true since two reference frames for a singular phenomenon may be created by that phenomenon creating two different references: one for energy and the other for time. Not to imply that time reversal is occurring, but that time and energy are not two different phenomena, but one and the same phenomenon looked at from two different perspectives. That's my take on this, at any rate. Well the amperage as you call it, or current, can't be out of phase with itself. 180 degrees phase shift means the current is flowing in the opposite direction, so maybe you're monitoring the current wrt 2 different reference points which would give you two traces the inverse of each other. If you have any more questions, just let me know! 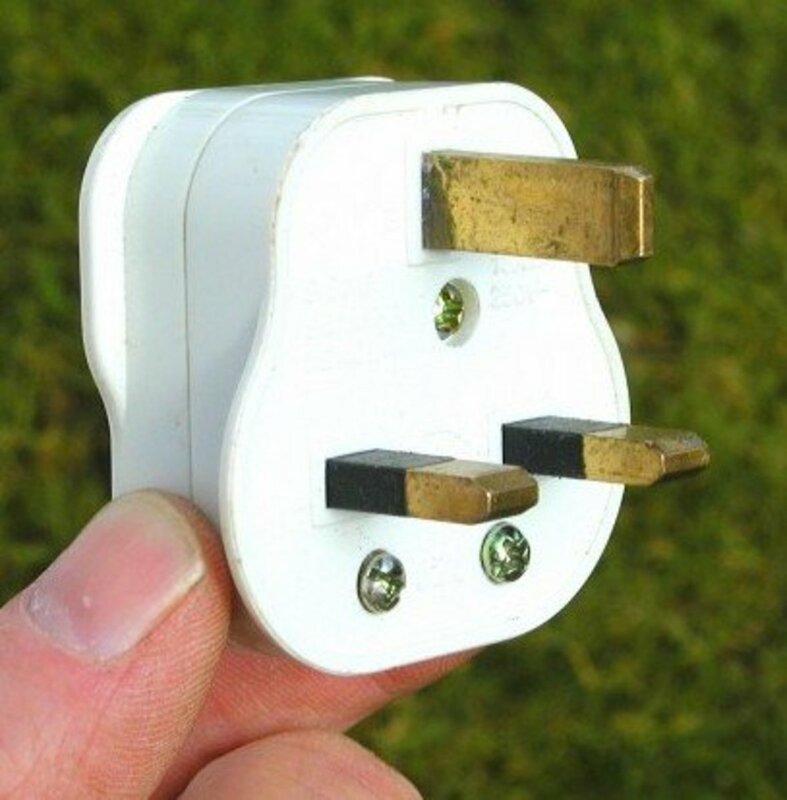 Voltage may be nominally 220 volts but if lots of people turn on high powered appliances (e.g. power showers, electric heaters, cookers (ranges)) simultaneously, the voltage output of the transformer supplying your home can drop substantially if it is underrated. If you live in an urban area, usually the transformer is quite "large" and has a high capacity but in a rural area, the transformer can be a small one on a pole and only capable of supplying a few homes. Sometimes the utility company will upgrade the transformer if more homes are connected and voltage drops excessively. Utility companies are supposed to maintain their supply voltage within +- 5 to 10% of the nominal voltage. When voltage decreases, current decreases also because current = voltage / resistance. So because P = VI , P is now less. So you get less power and pay less for the resultant electrical energy. Your electricity meter measures both voltage and current and effectively "multiplies" the two parameters to get a figure for power. So you're not getting less value when the voltage is less. Notice also that both V and I are lower in the equation P = VI. So for example if V drops by 10%, this causes a 10% drop in current and the new power is 0.9 x 0.9 = 0.81 or 81 % of what it was before. It depends on your voltage supply Pawan. If the equipment is using the full 7kW, then divide 7000 by the voltage to get the current. Also don't think of "amp used in one hour". If you think of the water analogy, current is like gallons per minute or litres per minute. You wouldn't think "how many gallons per minute do I use in one hour? ", just "how many gallons do I use?" You can only think of energy used in an hour, that is, kilowatt-hours (kWh). Thank you! All the spec sheets I've been through haven't been very helpful, the speakers are indeed rated at 1500W output, so the 5A @ 230V does seem like a correct draw? But the 120V/230V 5A figure does confuse me.. If you could find the manual/datasheet for the speakers it would be great or if you have the model number I can try and search for it. I don't know whether 5 A would be the max or peak draw, its likely the RMS value which is quoted for the power supply in the speakers. However if the power supply is fairly efficient (i.e. power doesn't end up as heat in the supply/power amplifier and becomes sound power), is 5A x 230 volt or 5A x 120 volt close to the power rating quoted for the speaker? That may give you the answer as to which voltage the 5A refers to. In any case, the speakers will take much less than 5A when they are not outputting full sound power. Hi, thank you very much for this explanation! Well paced and easier to follow than other examples I've tried to digest. I'm trying to work out the max power draw for some powered speakers, the rear says "120V/230V 5A" -they are on 230V mode however AFAIK that doesn't mean they will draw twice the power as 120V mode.. I'm assuming they just wrote "5A" because that's the max, and easier than writing "5A FOR 120V, 2.5A FOR 230V" -does that sound right? As you know, power is the product of voltage and current. So although voltage may be negative and current negative at the same time, the product is positive. If you take one phase on the graph of phase voltage (line to neutral) versus time and multiply voltage by current for the phase, you get a positive result and this is the instantaneous power at that instant of time for that phase (assuming the load is real and power factor is 1.0). If you graphed the power versus time, the result would be in the form of a sin² graph with all values positive. The total power for the 3 phases can then be obtained by adding together. For a delta load the result is a little more complicated.. If you measure current I and voltage V and multiply them together, the result is the VA of the load. However current and voltage may not be in phase and actual real power may be less than this figure (as in your example). This is the case with loads which have inductive or capacitive components, e.g.motors or lighting. Capacitors are commonly added to electrical equipment to correct power factor or reduce it to near unity, i.e θ = 0 and cos (θ) = 1. If power factor isn't corrected, excessive current can flow in a load which not only doesn't contribute to power used, but results in higher current flow in distribution cables. Power companies don't like this because it puts a higher demand on their transformers. Cos(θ) is known as the power factor of the load. Some power adaptors will actually display the power factor of the load for you. I'm purchasing an RV and trying to sort out all of the electrical basics. 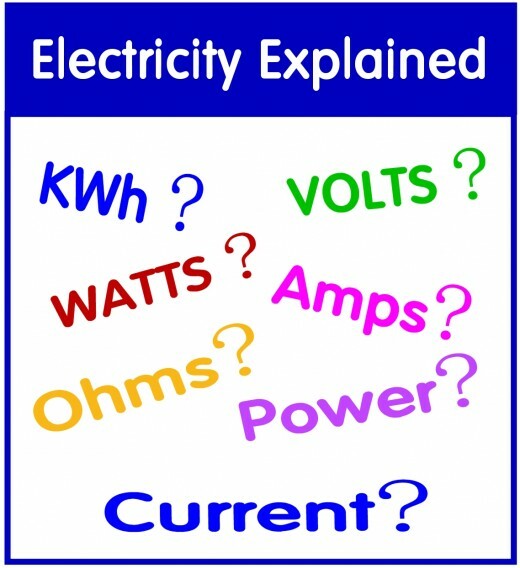 Your information answers my questions about electricity and is easy to understand and presented in a logical order. Thanks so much! 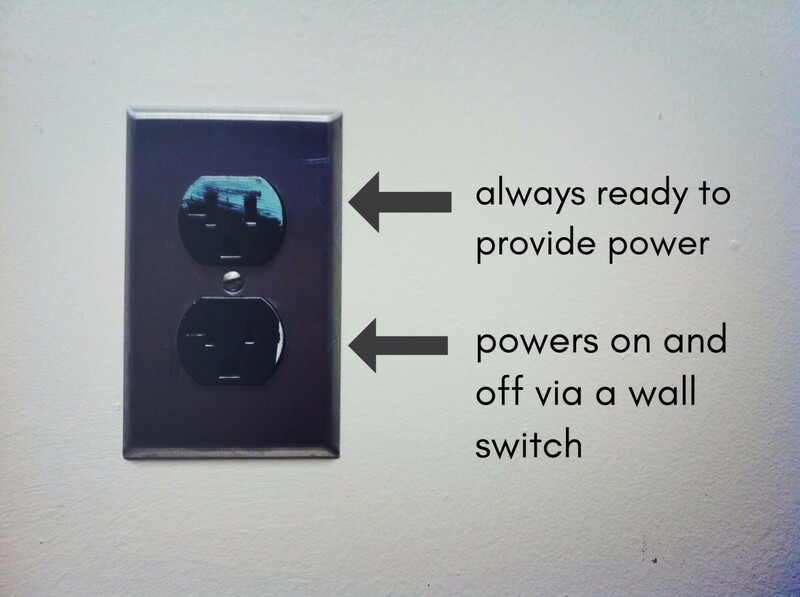 If the alarm is powered by a plug in power adaptor, you need to know the wattage/VA rating which should be printed on the adaptor. This would be the max rating of the adaptor though, and the alarm could be taking less power than this. Alternatively if you could find out the model number of the alarm, the specification would indicate the current drawn by the electronics. Hi Maynal, I don't understand your question, can you rephrase it? A constant 12kw load for a day is equivalent to 12 x 24 = 288 units. In one month (eg 31 days), total number of units is 288 x 31 = 8921 units. Hi Amit, is 300A the model of the battery? I'm not familiar with audio/speaker systems so I can't really advise, but if 50-60 Hz is quoted on the speaker, it sounds as if it is an active speaker requiring a mains supply. Your battery would then need an inverter to drive the speaker. However maybe the speaker has a 12 volt power input? The speaker has a 70W output so the power input requirement from the supply would be greater than this. You would be pushing it a bit with only 12 x 5 = 60 watt maximum available from the accessory o/p of the battery, if the speaker was driven to its maximum level. What's the make and model of the speaker? I have speaker of 100V/70W/50-60Hz. I have portable battery 300A with DC Accessory Outlet of 12VDC,5A and USB Outlet of 5VDC,2A. Thought to ask you if I can play speaker using this battery. Wow Ed, what a lot of questions, and by the way there are no dumb questions, just questions! Q: Is 110V single phase electric a sine wave that oscillates between +55V, -55V; or +110V, -0 volts? Q: I read that at a 90 degree phase angle difference between current and voltage the two would cancel each other out? A: For a purely resistive load, voltage and current are in phase. For a purely capacitive or inductive load, voltage and current will be 90 degrees out of phase. Power dissipated is VICos(ɸ) where ɸ is the phase angle between current and voltage and power is zero. If two voltages are 180 degrees out of phase (as is the case with the two hot legs of a US supply), the voltages don't cancel each other out, in fact the voltage is doubled (which is where the 220/240 volt supply is derived from). A: In theory current flowing would be infinite (but infinity isn't actually a number!). In practice current flow in a real circuit would be limited by the resistance of the circuit cables but could potentially be thousands or tens of thousands of amps for a split second. This is why fuses should never be replaced by glass types which don't have a high rupturing capacity. Ceramic types must be used. Q: Does a common household 110V circuit have a nominal resistance of 5.5 Ohms? A: Well it depends on the length of the circuit cables and their gauge. Q: Is 220V really 2-110V legs out of phase with each other, pulsing the power to twice as many end points. A: One hot is 110 volts wrt neutral. The other hot is also 110 volts wrt neutral but 180 degrees out of phase (a diagram would be nice but think of the sine wave flipped on its head). So the 220 volt supply is derived from the difference between the two voltages. It's basically like putting 2 cells in series. Think of the point where they join as neutral and the total battery voltage is double the individual cell voltages. The supply transformer in the street is centre tapped and the centre tap is the neutral. The frequency never changes. Q: In Europe my understanding is that 240 IS single phase but in the U.S. the two 110 legs alternate being each other's grounds or returns so no ground/neutral connection is required? 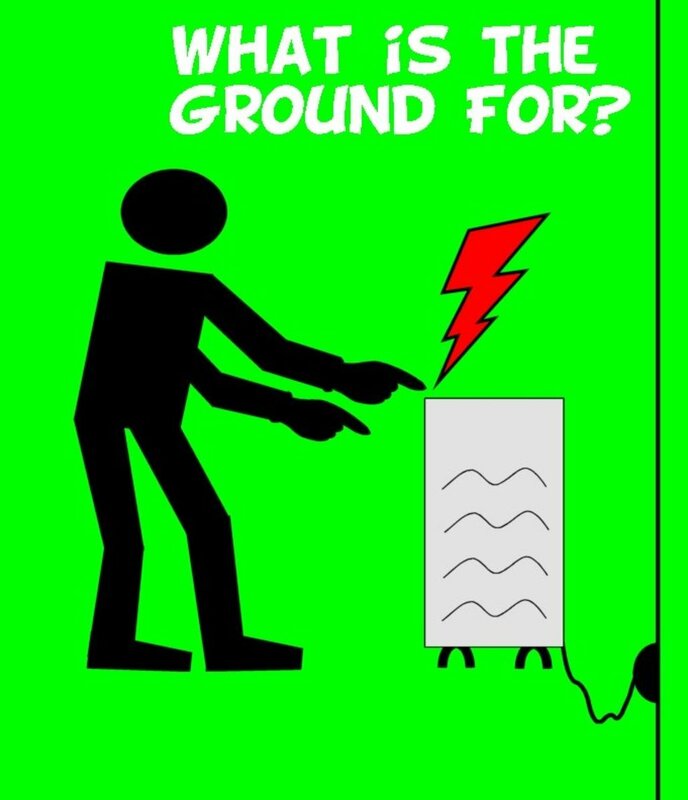 A: No ground is needed for the 220 volt supply. You just use the voltage between the two hot legs. Q: Why is 220 in the U.S. called single phase? A: Not sure if it's called single phase, but there is only a single phase supply between the two hot legs. The two legs can be thought of as split phase. This differentiates it from a 3 phase supply which has 3 wires 120 degrees out of phase with each other. No neutral is used for distribution of power between transformers (delta system), but a neutral connection is created at the secondary of the supply transformer for supplying homes (star). This is the way it is here (Ireland). I'm not totally au fait with the setup in the US and how a transformer secondary can supply a three phase supply and also two hot legs. Maybe one of the phases is centre tapped? Q: Finally, does either amperage or voltage have a greater effect on field or is a joint relationship where as voltage decreases amperage increases, to deliver the same wattage and that is what is measured by an electric meter? A: When voltage decreases, current decreases and wattage decreases (and visa versa). The meter measures both current and voltage and the product is what determines the speed of the disk in the older style meters. So if the supply voltage to your home is low, the meter runs slower and you're not being cheated! Q: Does a 220V motor driven appliance that will operate down to 197V slow down and deliver less power or does it need more amps and use the same amount of watts? A: Universal motors, (the noisy ones with the brushes used in vacuum cleaners, power drills etc) are voltage dependant and will slow down and use less power when voltage drops. AC induction motors (the silent ones in fridges, freezers, washing machines) are less sensitive to variations in voltage. The speed of these motors is controlled by varying the frequency of the supply. SIMPLE questions. Is 110V single phase electric a sine wave that oscillates between +55V, -55V; or +110V, -0 volts? Also, I read that at a 90 degree phase angle difference between current and voltage the two would cancel each other out. I thought this happened at 180 degree intervals, where the VOLTAGE is a mirror of the current, thereby cancelling it and resulting in O power. What am I not seeing? You don't have to oversimplify the answer. I am just thinking in a unit circle that at 0 degrees sin=0, 90 degrees sin=1, 180 degrees sin=0, 270 degrees sin=-1 and at 360 degrees sine =0 again. Two waves 180 degrees out of phase mirror each other and so cancel (or am I mistaken), just as the relationship of sin to its mirror happens every 180 degrees (0,180; 90,270; 180,360; etc.). I also learned that watts=voltsXamps. What would happen if your circuit theorhetically had 0 ohms resistance at 110V (besides tripping the breaker because of a dead short, if there was no limiter on it)? Does a common household 110V circuit have a nominal resistance of 5.5 Ohms? Is a 110V circuit +/- 55V, +110V,-0V or another set of values? Is 220V really 2-110V legs out of phase with each other, pulsing the power to twice as many end points, effectively increasing the frequency to a nominal 120Hz, each leg serving as the other's return or ground, and if so, what is the phase angle relationship (e.g. 180 (my thought), or 90))? If 220 represents 2 different phases, why is 220 in the U.S. called single phase? 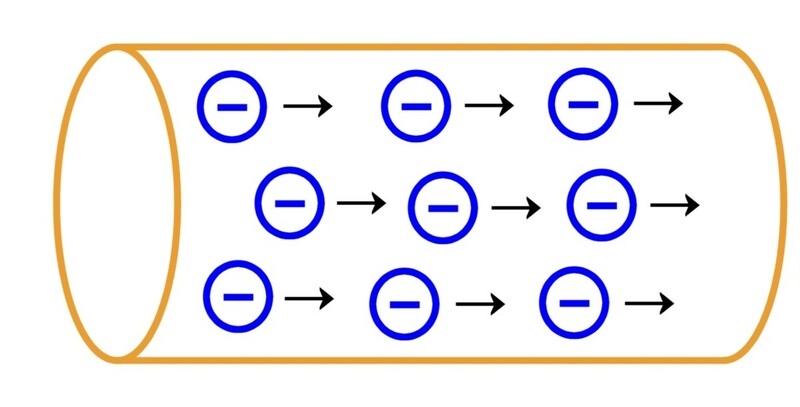 In Europe my understanding is that 240 IS single phase but in the U.S. the two 110 legs alternate being each other's grounds or returns so no ground/neutral connection is required. Finally, does either amperage or voltage have a greater effect on field or is a joint relationship where as voltage decreases amperage increases, to deliver the same wattage and that is what is measured by an electric meter? If current had a greater effect then the meter would spin faster at lower voltages to deliver the same wattage. Does a 220V motor driven appliance that will operate down to 197V slow down and deliver less power or does it need more amps and use the same amount of watts? I should remember these things from physics E/M but that was over 40 years ago when I was 16 or 17. Sorry to ask the dumb questions! Thank you!! I am a minor geek and electricity has always fascinated me. Ed S.